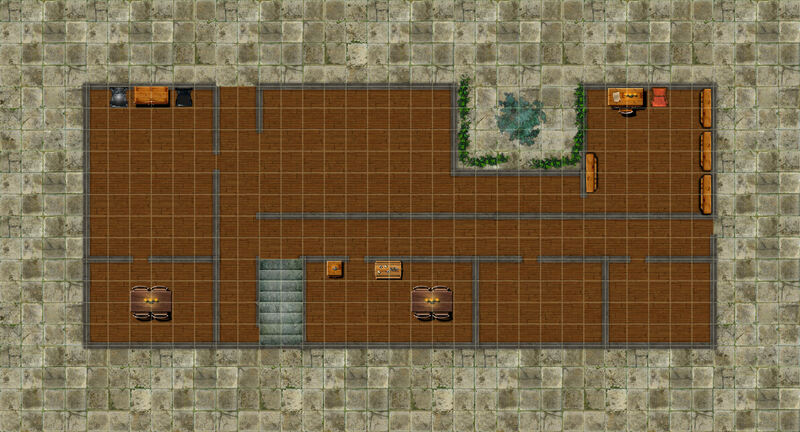 This location is one of House Cannith’s townhouses – used as a home in Sharn by the adventurers’ patron. An urgent message summoned them while an assault was under way by mercenaries working for the Lord of Blades. When they arrived, the main force of attackers had already left with their prize, leaving the bodies of guards and manservants strewn around the building. A small force of mercenaries remained, charged with finishing off Lady Eladryn, and the group arrived just in time to rescue her and receive their instructions to go retrieve the stolen schemas and research notes.